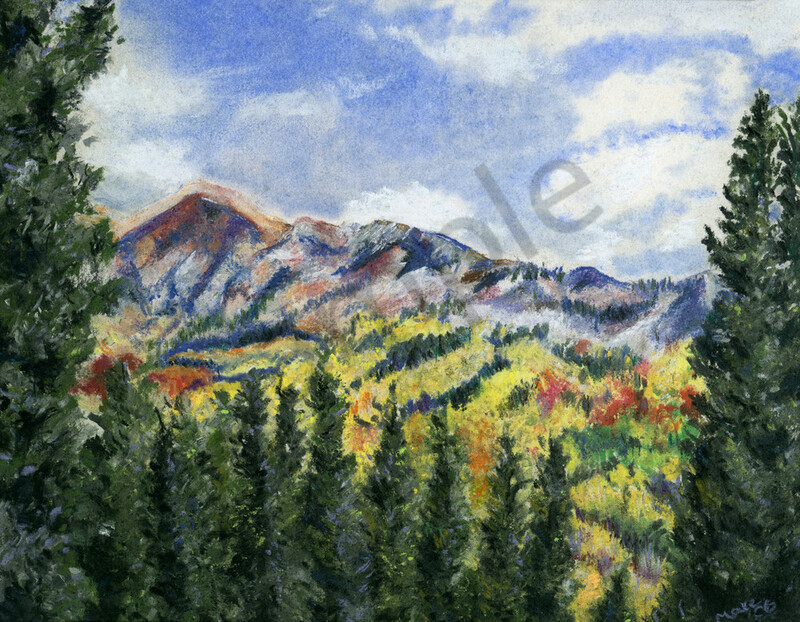 Original chalk and oil pastel artwork of Kenosh Pass, CO in Fall by artist Mary Anne Hjelmfelt. I wish I had taken more photos of this Fall trip through Kenosha Pass here in the lovely Rocky Mountains of CO, but this one was one of those 'deep breath' moments. I used a combination of chalk and oil pastels to replicate my view. We do have quite the colorful Falls!